I truly appreciate all of you hanging in there with me for the last two and a half years while I navigated the difficult parts of getting a project of this size and scope off of the drawing board and into reality. I know that it hasn't been particularly fun or pretty to look at photos of excavation and framing but now that we're only a few months away from completion, I think that I can safely say that we're finally getting to the good part! 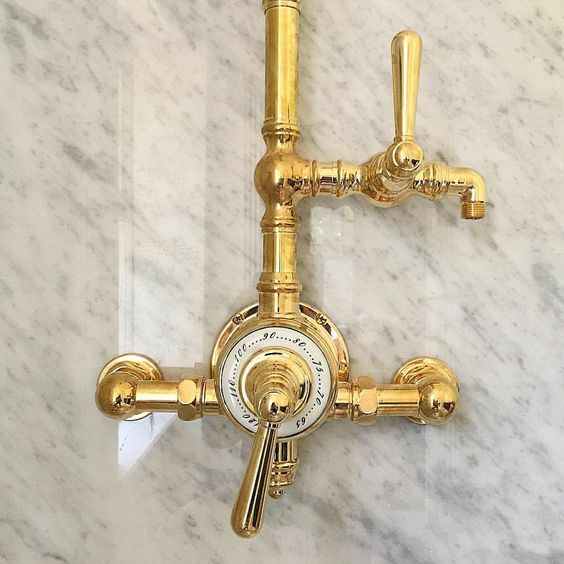 And a special thanks to my sweet friend Kelly from My Soulful Home, who posted the photo above just as I was struggling to finish choosing the plumbing for our master bathroom for finding the perfect faucet...the one with amazing proportion (and enough handle choices to make me happy). It's the one that finally felt right. 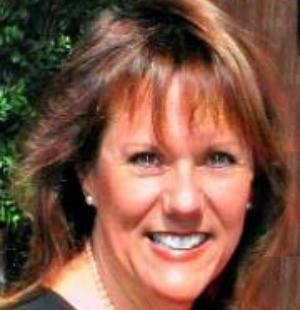 She's renovating a 100+ year old home. If you don't follow her, you should. We're kindred spirits. 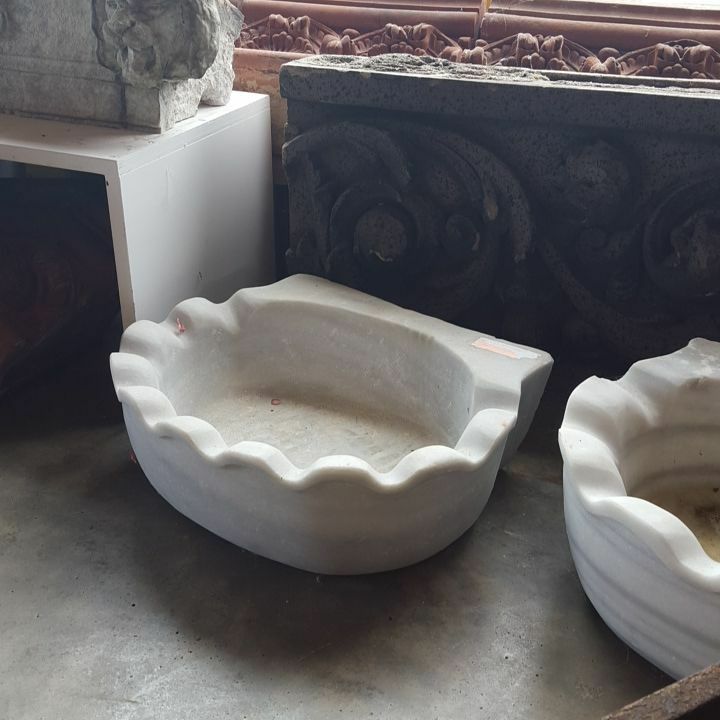 Kohler Vintage K-700 freestanding soaker tub for the master bathroom exactly as shown above. I purchased "used" for a couple of hundred dollars. Cost new: several thousand dollars. It was 6 months old in like new condition and included the drain assembly and a Kohler freestanding tub filler with "telephone style" hand sprayer. 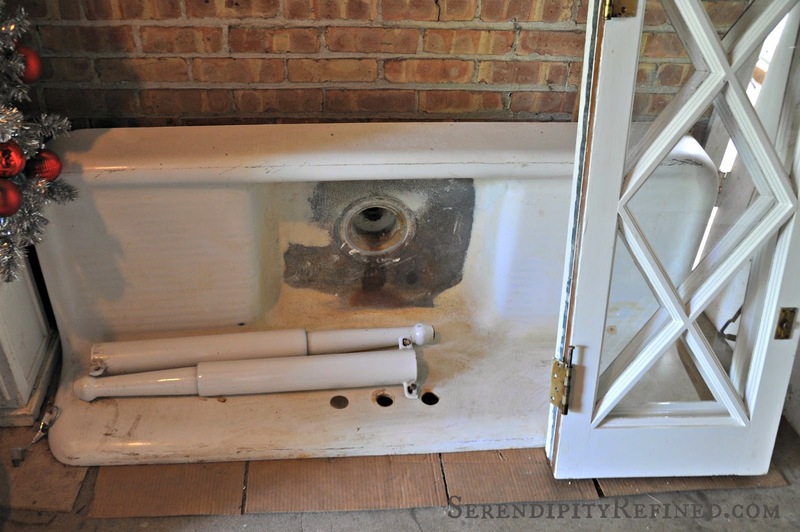 The benefit: I got the tub that I really wanted without spending my entire plumbing budget. The challenge: I had to hire a moving company to deliver it and had to store it for two years. Details of my crazy tub purchase, here. Kohler "Verticyl" undermount sinks. I purchased two of them, new in the box, for $50. I'll use one of them in the guest bathroom and will sell the other one on, you guessed it, Craigslist. 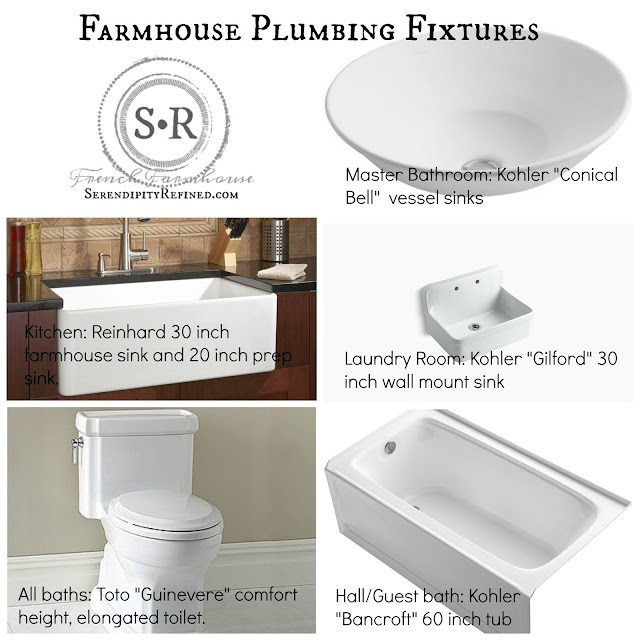 1962 Vintage Kohler Farmhouse sink with integrated drainboards for the mudroom. Purchased used for $125. Benefits: Cost savings. New reproductions are available but cost between $1,800 and $3000. Challenges: finding someone to recoat the porcelain which is worn down to the bare iron in the base of the bowl. This will cost $150 to $200. Kohler is helping me to find the metal mounting brackets and new drain assembly. Kohler "Gilford" sink for the laundry room. Found on Craigslist used for $200. This is the one that got away... Someone else got to it before I did. I ended up purchasing new from the plumbing supply company. 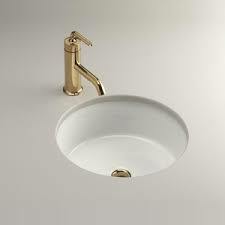 Good to know: If you want this sink as only a "utility" sink, Kohler sells the same sink with a smaller drain opening for about 2/3 of the price. Rohl pot filler (along with two toilet tissue holders and robe hooks. 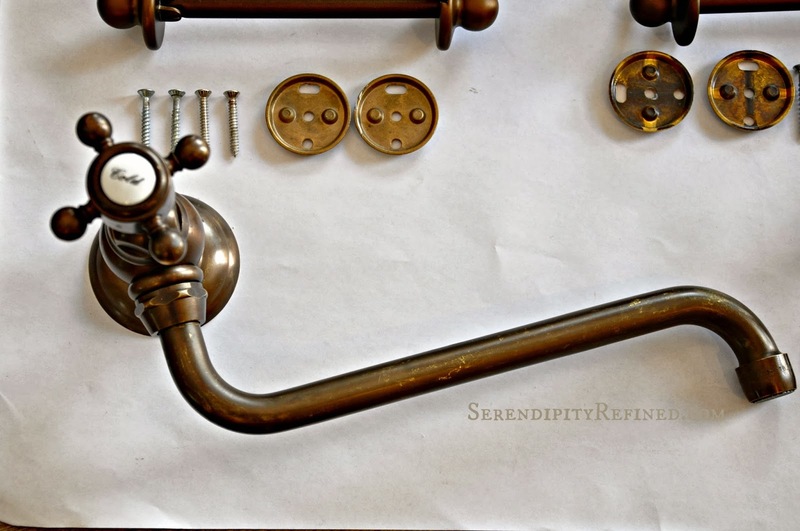 The story of the pot filler Craigslist purchase is here. I'll admit that I could have gone with any number of toilets on the market. I chose Toto. It's 1.28 gallons per flush, ADA compliant and came with an elongated bowl, comfort height and a solid seat all of which were features that were, believe it or not, mentioned by the "male populous" of my home as being important based upon our last home..
For me, faucet choices took the most time. I knew from the beginning of the design process that I wanted unlacquered brass. 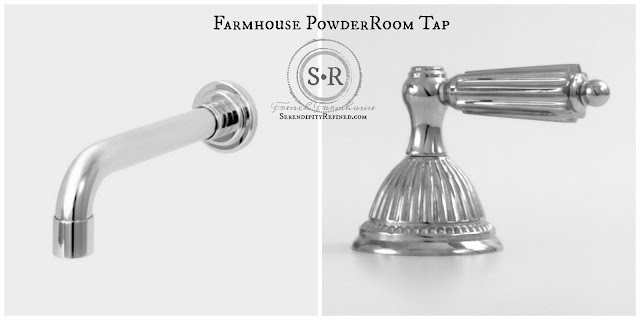 I chose it for our master bath at the home that we built 16 years ago and I still love the soft patina so it made a logical choice to use it again in the farmhouse. Since the house is all on one level and rooms open into each other, I kept finishes the same though out our home to give it a sense of unity. While unlacquered brass is gaining in popularity, there are still relatively few sources in the market but many faucet manufacturers are adding brass tones to their faucet lines. 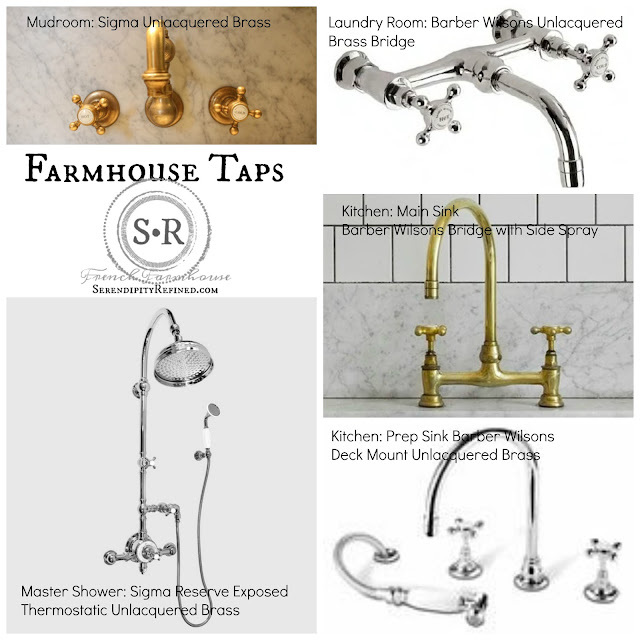 I chose unlacquered brass faucets by Sigma and Newport Brass (California companies) as well as Barber Wilsons (a U.K. company with a U.S. distributor in New York) for our home. I also used a mixture of spout and handle styles to give the design a sense of "history" and the feeling that pieces were added over time rather than using a single manufacturer and style. The plumber starts the rough plumbing this morning and I'm meeting with the roofer today as well to make final selections of shingles and the color for the metal roof so things are moving forward.